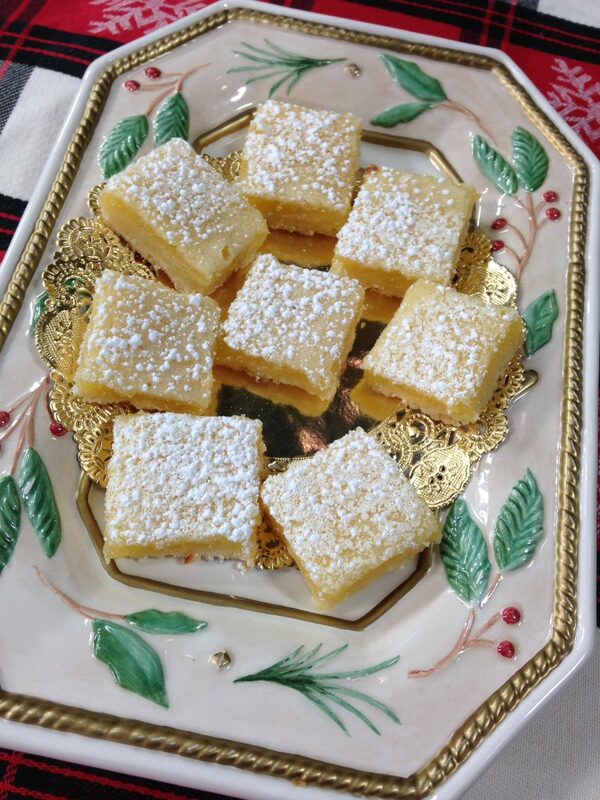 Easy to make lemon squares add a citrus note to your Christmas or Holiday baking. A food processor makes this quick and easy lemon square even quicker. They have a fabulous sweet, tart and lemony flavour. 8. Line an 8×8-inch (2 L) square metal baking dish with parchment paper, this makes it easier to slice later. 9. In a food processor, pulse the flour, icing sugar, and butter until it looks like sand, should take about 2-3 minutes. 10. Tip into prepared pan and firmly press down. (If you don’t the bars will fall apart later.) Bake for 15 minutes or until just starting to brown. 11. Meanwhile, in the food processor (no need to wash before this step, you’re welcome) pulse together the eggs, sugar, zest, juice, flour and baking powder until combined. Let sit until the base comes out of the oven. 12. Pour the filling over the base as soon as it comes out of the oven, and bake for 25 minutes, or until set. 13. Cool on a wire rack. To slice remove from pan and cut into equal squares, your call on the size, I like mine on the tiny side. Store between layers of parchment in an airtight container for 3-5 days.